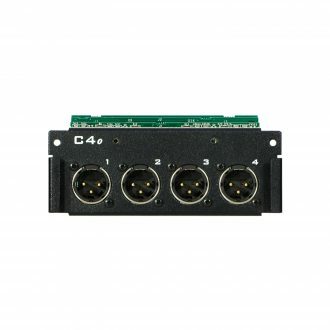 The AV-P2 Output Module is designed to provide a 1- or 2-channel analog output from a 16-channel Pro16 A-Net stream, easily selected using a front-panel rotary switch. Independent output levels for the left and right channels are set using DIP switches. 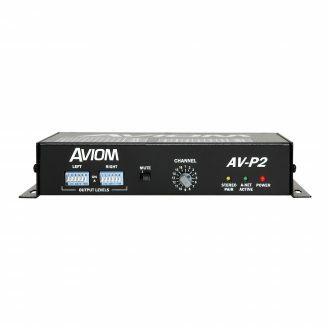 Power can be supplied to the AV-P2 with an external DC power supply or over the Cat-5e cable when connected to an A-Net Distributor. 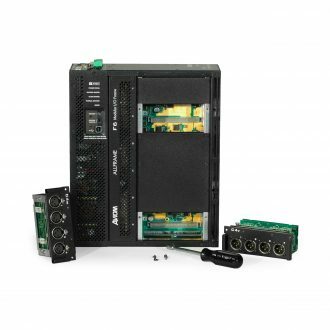 Each AV-P2 Output Module in a Pro16 system receives a 16-channel A-Net stream from an input module, console interface card, A-Net distributor, or Pro64 audio network (via the ASI A-Net Systems Interface module). 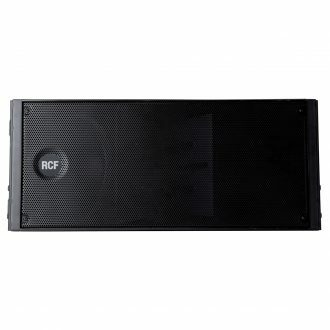 It provides a one or two channel, mono or stereo analog output from that 16-channel digital audio stream. 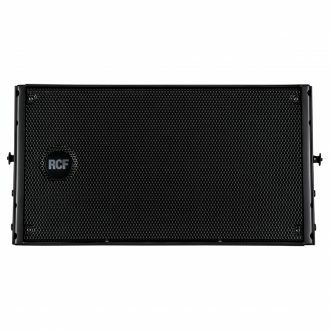 A front-panel rotary switch allows the output to be set to any one of those 16 source channels. If the selected channel is part of a stereo pair (set at the input module), the left and right channels are automatically routed to the left and right outputs on the AV-P2. If the selected channel is not part of a stereo pair, the selected mono channel’s audio is routed to both the left and right outputs. The analog output level for each channel is set with front-panel DIP switches. 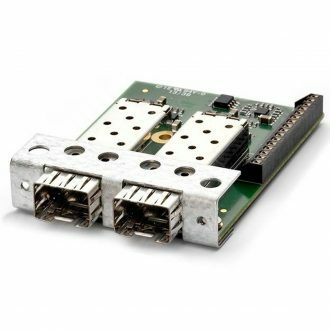 AV-P2 modules can be connected in any combination of serial or parallel connections, using Pro16 A-Net Distributors. There is no limit to the number of devices that can be daisy chained, or to the number of parallel splits in a single system. 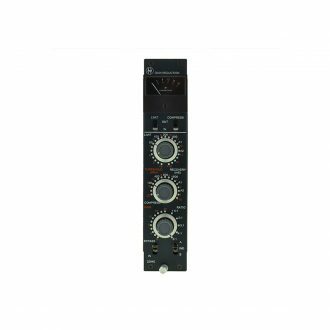 The AV-P2 is compatible with most Pro16 Series products and can be used in any combination with A360, A320, A-16II and A-16R Personal Mixers, the AN-16/o Output Module, and the A-16D and A-16D Pro A-Net Distributors. 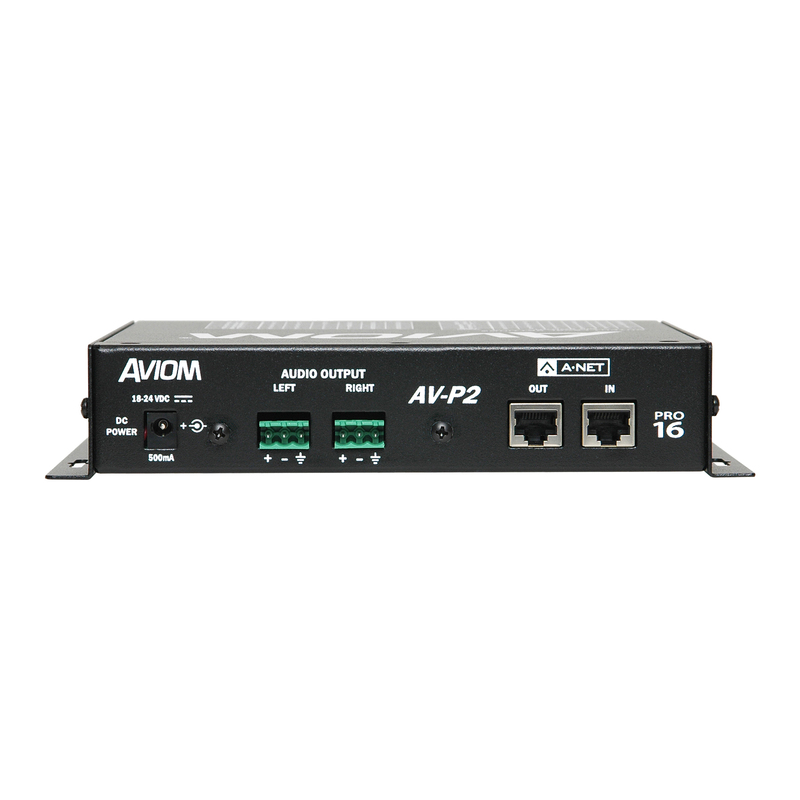 The AV-P2 is not compatible with any devices that use the high channel count Pro16e A-Net protocol. 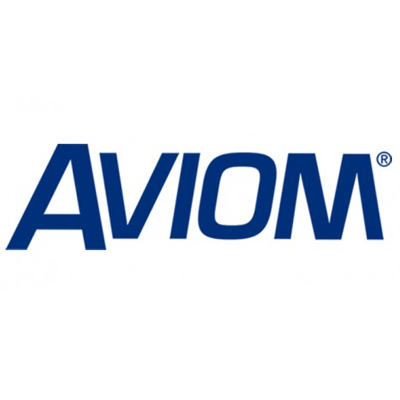 Audio is distributed to the AV-P2 over standard Cat-5e cables, using Aviom’s Pro16 A-Net digital audio protocol which supports plug-and-play installation, real-time distribution with sub-millisecond latency, and long cable runs up to 500ft/150m. 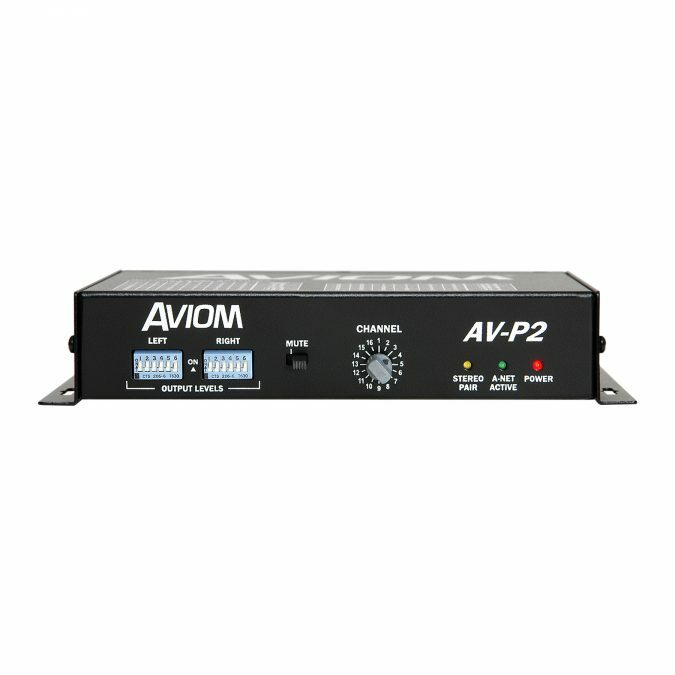 Power can be supplied to the AV-P2 with an external DC power supply or over the Cat-5e cable (with an A-Net Distributor). The AV-P2 includes reversible mounting flanges. Two AV-P2 modules can be mounted side by side on a standard 1U rack tray. 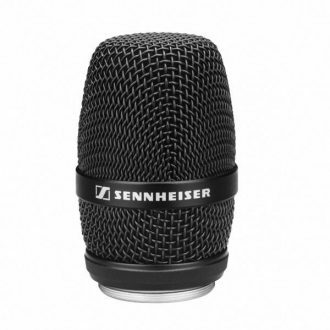 Microphone module in condenser technique with high brillance and feedback rejection. 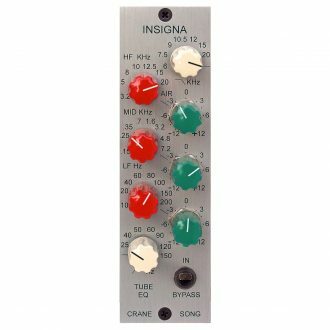 500 Series Tube EQ with Dual-triode Circuit, High/Low Shelving, and Lowpass Filters.